It would be easy to paint Nissan as late to the burgeoning U.S. green party, as the company essentially only counts the Altima Hybrid to sell among its alt-fuel offerings – and that sedan utilizes technology borrowed from Toyota, and it's only sold in a few states in small volumes. While that may be the case, Nissan says their near-term prospects are really quite different. 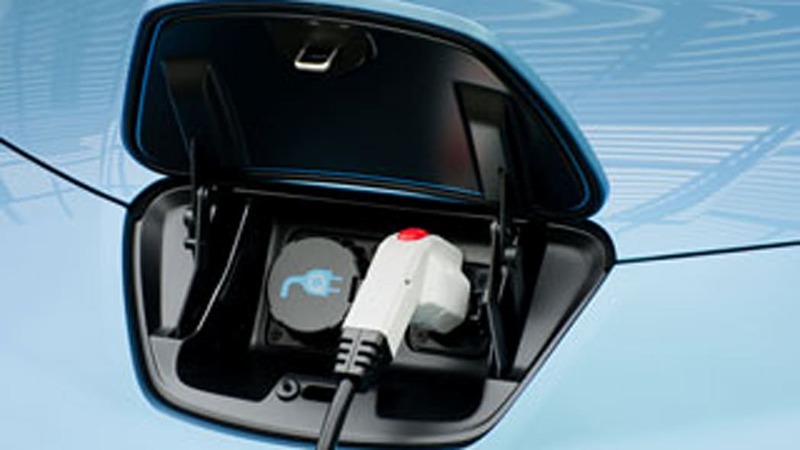 While the company has admittedly been cautious in marketing alt-fuel vehicles in North America, they have been hard at work developing electric vehicles – as well as the advanced lithium-ion batteries to support them – since 1992. 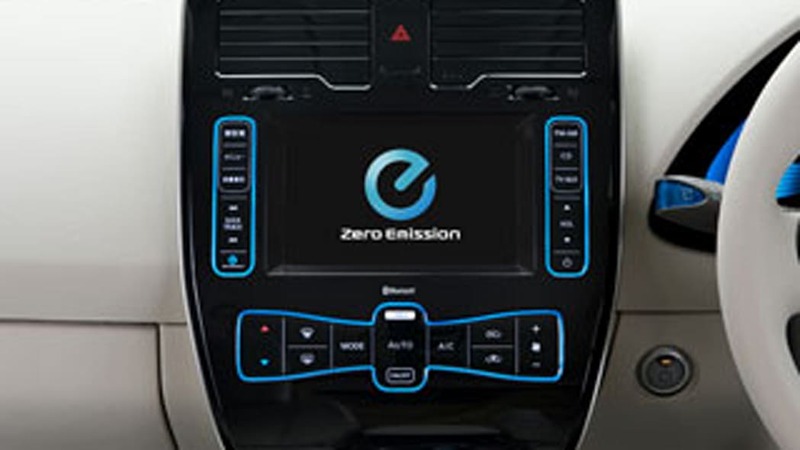 What's more, officials say they are now singularly well-placed to leapfrog "transitional" powertrain solutions like gas-electric hybrids in favor of genuine zero-emissions vehicles, and they are promising that their first pure-electric car will reach U.S. shores late next year. 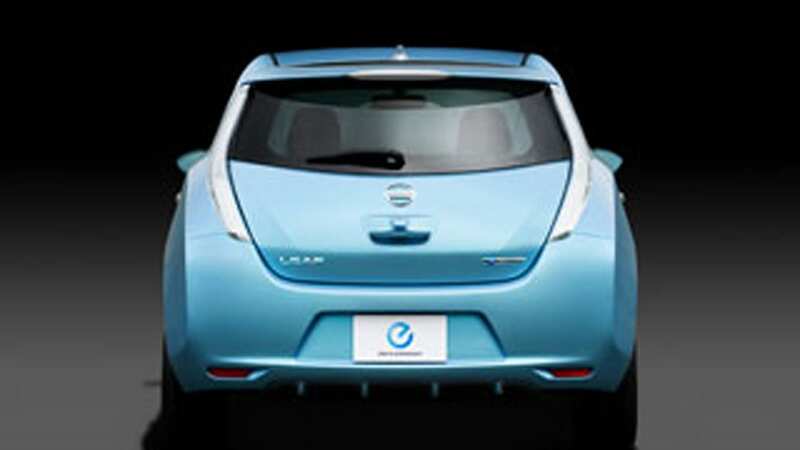 That car, the Nissan Leaf shown here, is the reason we find ourselves in the company's brand-new Yokohama headquarters today. Designed as a four-to-five seat, front-drive C-segment hatchback, Nissan says the Leaf is not just for use as a specialty urban runabout, but rather, it was designed as an everyday vehicle – a "real car" whose 160-kilometer+ (100 mile) range meets the needs of 70% of the world's motorists. 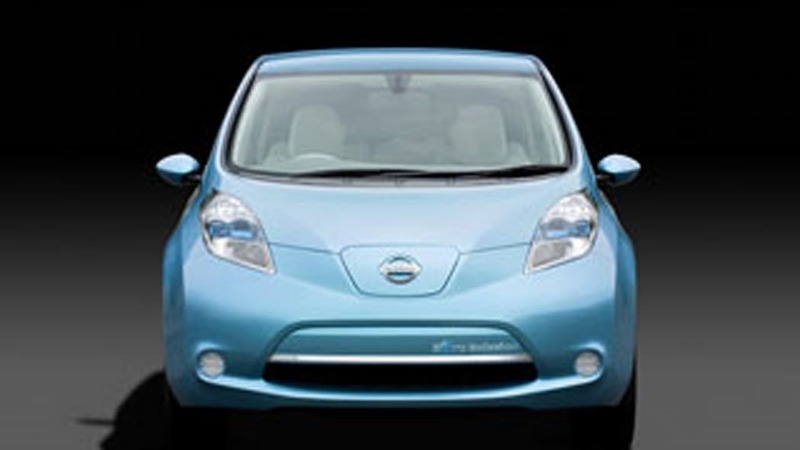 In the case of U.S. consumers, Nissan says that fully 80% of drivers travel less than 100km per day (62 miles), making the Leaf a solid fit for America's motoring majority, even taking into account power-sapping external factors like hilly terrain, accessory draw, and extreme temperatures. 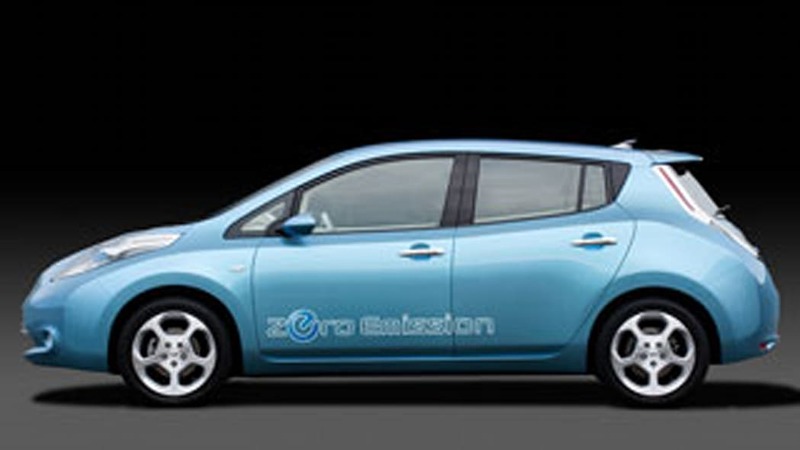 As we noted, it would be fair to say that in North America, at least, Nissan has been something of a laggard in publicly promulgating and promoting an alternative fuel strategy. Instead, in recent years, the Japanese automaker has seemingly focused on burnishing its performance image, bringing powerhouse offerings like the GT-R and the 370Z to market – not to mention augmenting their lineup with accomplished new crossovers and luxurious Infiniti vehicles. Not that we're complaining, mind, but the company's apparent focus on these segments has had us wondering about how the automaker views its long-term energy responsibilities and prospects. 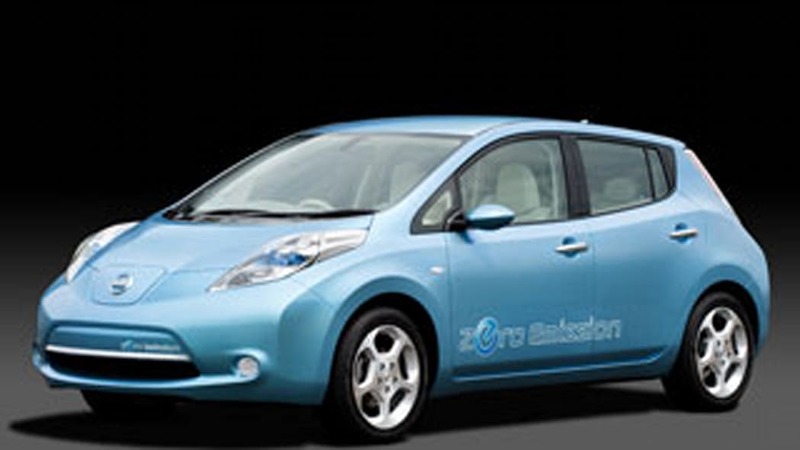 During that same time period, Nissan's fellow countrymen at Toyota and Honda have made very public strides in not only offering hybrid vehicles, but also marketing the lifestyle and successfully positioning themselves as benevolent, eco-friendly corporations. Similarly, European automakers like Volkswagen and Mercedes-Benz have invested heavily and openly in clean-diesel technology, and American automakers have produced a startling number of keenly fuel-efficient gasoline-engined models, not to mention hybrids and scads of E85-capable vehicles - all while publicly priming us for extended-range offerings like the forthcoming Chevrolet Volt. 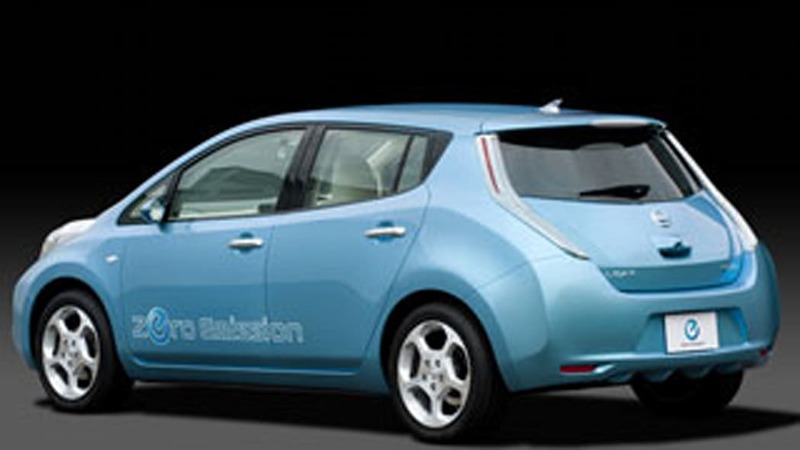 Nissan says they have a lot of alternative propulsion vehicles in the pipeline for America – including hybrids – but the Leaf is the first concrete evidence we have of that commitment. "From the beginning, we did not want to make the car very strange, because one of the perceptions of the EV [is that] people think that EVs are toys, or cheap... that you cannot drive high-speed, that EV means 'not real car.' 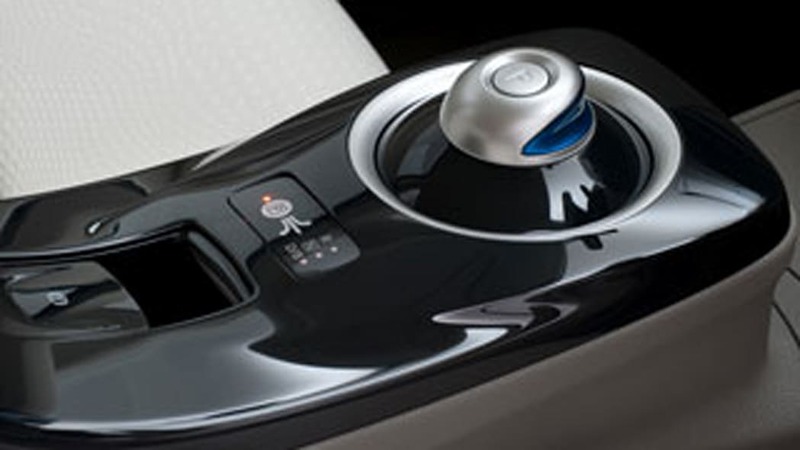 But the car we have is a real car – you can drive it at 140 kilometers, you can sit four or five passengers comfortably. By that measure, the more upright yet unique Leaf is a success – it is a slippery shape with real passenger space, yet it doesn't resort to visually polarizing aerodynamic tricks like faired-in wheel housings and to maximize aero. Instead, it has a smooth face (secreting two charging ports hiding beneath the Nissan logo), strangely prominent blue-tinted headlamps that manage airflow as much as they do nighttime vision, and a roofline whose rearmost pillar reminds us of another Nissan – the Murano. The Leaf has an almost Gallic rump that recalls that of the Versa, a design that in turn reminds us of offerings from Nissan's European partner, Renault. Underbody aero management has also been a clear priority, as the Leaf looks to have a nearly smooth belly thanks to the flat battery-pack subframe, and there are functional diffuser elements beneath the rear bumper cap to detach air from the car. It might have been wishful thinking, but we also couldn't help noticing that the alloy wheel pattern we were shown reminds us of those employed on many Nineties-era 300ZX models. At the end of the day, we wouldn't call the Leaf's exterior pretty, but neither would we call it offensive – not unlike the Prius and Insight, then. The interior is at once handsome and spacious, with what appears to be plenty of room both front and rear for real-sized adults, and the cargo area is very deep, as it is unencumbered by a gas tank assembly (the batteries are mounted beneath the seats within the wheelbase). The center stack is production and looks slick, but its smooth finish flush buttons may also be hard to operate by feel on the move. 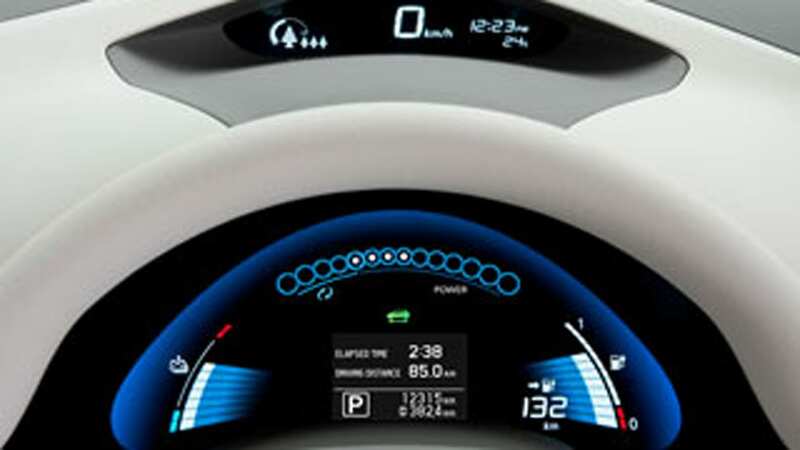 The digital instrument cluster display and the drive controller (we can't really call it a gearshift in an EV now, can we?) are also production pieces, and they look well finished and inviting, as does the interior as a whole.